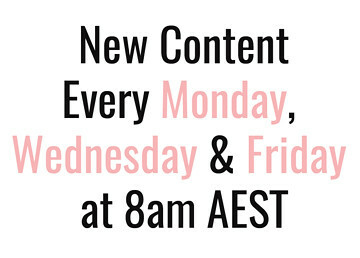 So the theme continues this week with me trying to review as many of the amazing products I got at the Gold Coast events last week as possible. Today I am giving you the full run down of the brand new Maybelline The Falsies Push Up Drama Mascara, Lasting Drama Gel 24H Automatic Gel Pencil and Master Fix by Face Studio Setting Spray. So many people have been really excited for the Maybelline setting spray to hit Australian stores but I am happy to report that the other two are actually equally worthy of praise and hype! So I remember trying the original Falsies mascara and I didn't warm to it because it was a bit spidery for me and I didn't love the brush. I was so pleasantly surprised by this one though! 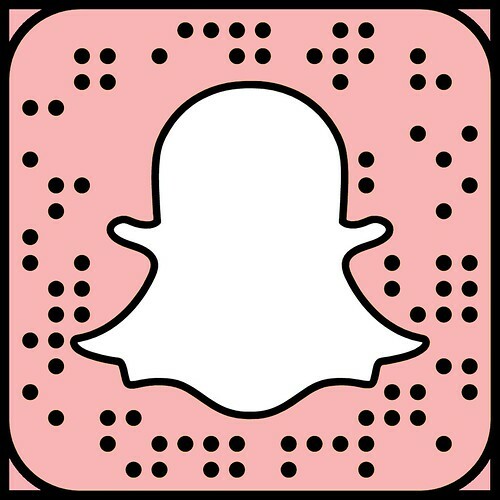 My first impression was really amazing, especially since I am currently using my top favourite Benefit Roller Lash Mascara ($42) so it takes a good mascara to keep me reaching for it over Benefit! This gives incredible length and volume. It has a ever so slightly dryer formula that is a teeny bit clumpy but in a good way in that it helps build up those lashes. It lasted all day, didn't smudge and was generally awesome. The one tiny downside is that is is actually quite tricky to get off even though it isn't waterproof and I had to reach for my oil based remover. Lashes with two coats of Maybelline The Falsies Push Up Drama Mascara. I also have the Lasting Drama Gel 24H Pencil in my upper waterline. Holy pigmentation, guys! This liner is seriously black. I was impressed from the second I swatched it and I am happy to report that my first impressions were confirmed when I got the change to wear it. I usually wear eye liner pencils like this in my upper waterline so there are a few things I am looking for: smooth application, dark inky black colour, long lasting and quick drying so that it doesn't transfer heaps to my bottom waterline. This liner ticks all those boxes! For ages my favourite has been the Rimmel Scandal'Eye Waterproof Kohl Kajal but this Maybelline dries faster so I get less transfer to my bottom waterline but it still gives you enough play time if you are going for a smudgy look. I think it actually lasts a bit better than the Rimmel one too so I could not be more impressed. It is definitely my new favourite black pencil liner and the lazy part of me loves that it is an automatic wind up pencil. Maybelline Lasting Drama Gel 24H Automatic Pencil smudged into lash line. So the first thing we need to address is that lovely price tag! At 15 bucks I was hoping beyond hope that it stacks up to my much more expensive favourites like the Urban Decay All Nighter Long-Lasting Makeup Setting Spray ($49) and Skindinavia Makeup Finishing Spray ($39.95). I will say that the mist pump spray isn't as fine on the Maybelline one so it leaves more visible droplets on the skin but that isn't a problem for me because I usually go over my setting spray with a Beauty Blender ($30) anyway. I did find that it helped settle my makeup and blend everything together nicely, particularly the powder products, much like the more expensive options. Also, when I tested it on one half of my face with the Skindinavia Finishing Spray on the other side, I didn't notice any difference at the end of the day. It performed really well and while the spray pump and smell might not be as nice as the more expensive options, I can certainly look past it! 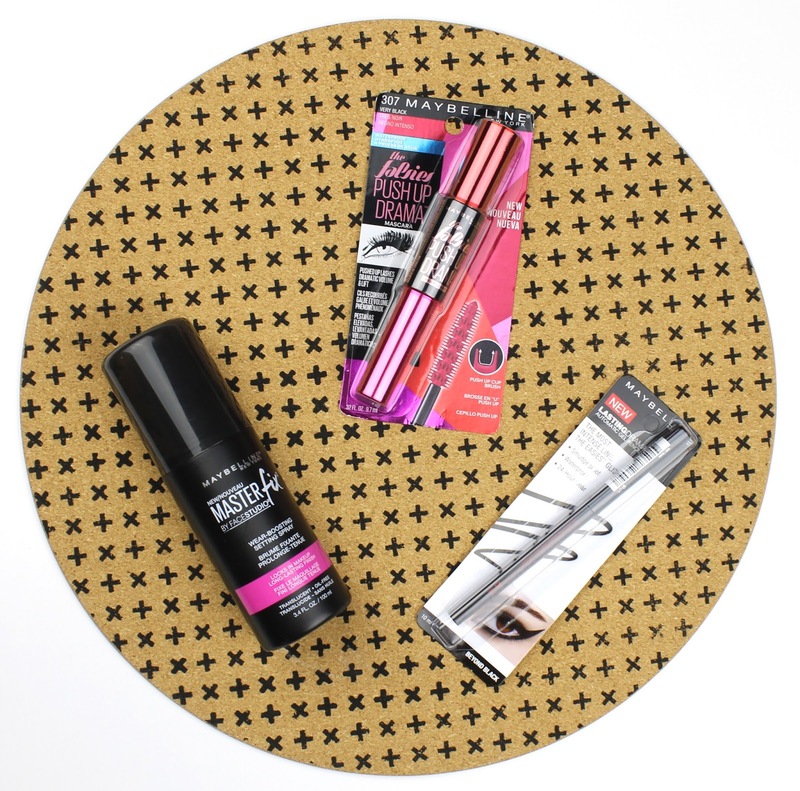 So there you have my review of some of the latest Maybelline goodies. I would wholeheartedly recommend all of these products. I do wish that the mascara came off a little easier and that the setting spray had a finer mist spray but for the price, they are excellent. Will you be picking some of these new releases up to try for yourself? Let me know in the comments below. 4 comments on "New Maybelline Mascara, Liner and Setting Spray"
Yeah I'm not too keen on the setting spray scent either, especially when the Skindinavia/Urban Decay one smells so nice, but for the massive savings I can definitely deal haha. You should definitely try the mascara though! 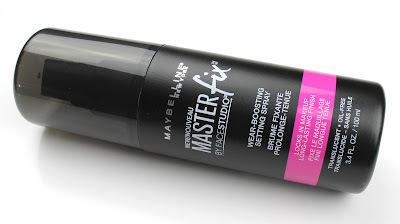 Ooh i want to try the master fix spray! My skindinavia ones are starting to run out!